Department of Art | FSU Art BA ‘14 Larry Weru TED Talk at TEDx Tallahassee April 10th at City Hall. Home » News » FSU Art BA ‘14 Larry Weru TED Talk at TEDx Tallahassee April 10th at City Hall. FSU Art BA ‘14 Larry Weru TED Talk at TEDx Tallahassee April 10th at City Hall. 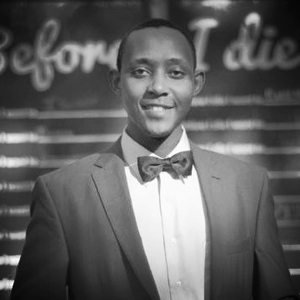 FSU Art BA ’14, Larry Weru, will do a TED Talk at TEDx Tallahassee this Friday, April 10th, 2015 at City Hall. His talk will intersect the fields of Colour Theory, Political Science, Data-Visualization, and Philosophy. Larry leads an interdisciplinary life. He is concerned with the nature of reality, and what it means to be a human being. He is the founder of LobbyQ, a web-app that streamlines visitor management.